"Versatile cream cheese frosting flavored with sugar-free instant pudding. It will frost one 9x13 or one 2 layer cake. Use any flavor of pudding mix." In a medium bowl, combine pudding mix and milk. Mix well and let stand until thickened. In a large bowl, beat cream cheese until smooth. Add pudding and mix well. Finally, fold in whipped topping. use 1/2 the amount of milk , and maybe the large box of pudding, to firm it up. 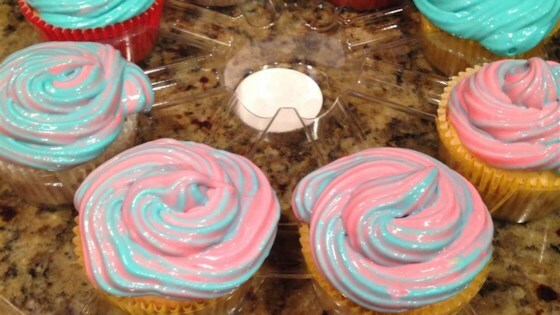 I've been a diabetic for 14 years and this is the best frosting recipe that I've ever had. This sugar free frosting tastes so good you won't think it is sugar free. I will make this when ever I bake a cake.